Suitable for: All magnetic governor sensors. This pack includes a complete set of wires for connecting the Vortex to a standard receiver. The heavy gauge male-male wire can also be used for PPM or SBUS connections. 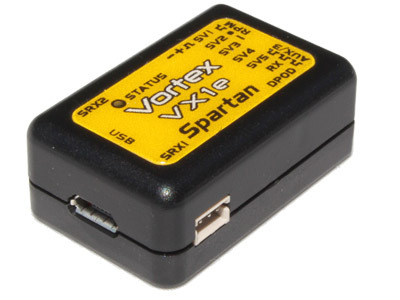 This is the same set of wires supplied with the Vortex VX1n and VX1e flybarless systems. Servo-Servo wire length 145mm. Servo-Sat wire length 210mm.